Military Museum in Belgrade, a place where history is to be told through the fabric of splendid uniforms, the sacred historical messages of decorations, the magical signs of ancient weapons and the obligatory colors of flags from glorious battles is one of the most recognizable museums in Belgrade. Not just in Belgrade. In the entire country. The place was founded after the Serbian-Turkish wars, when Serbia gained full political independence from the Ottoman Empire. 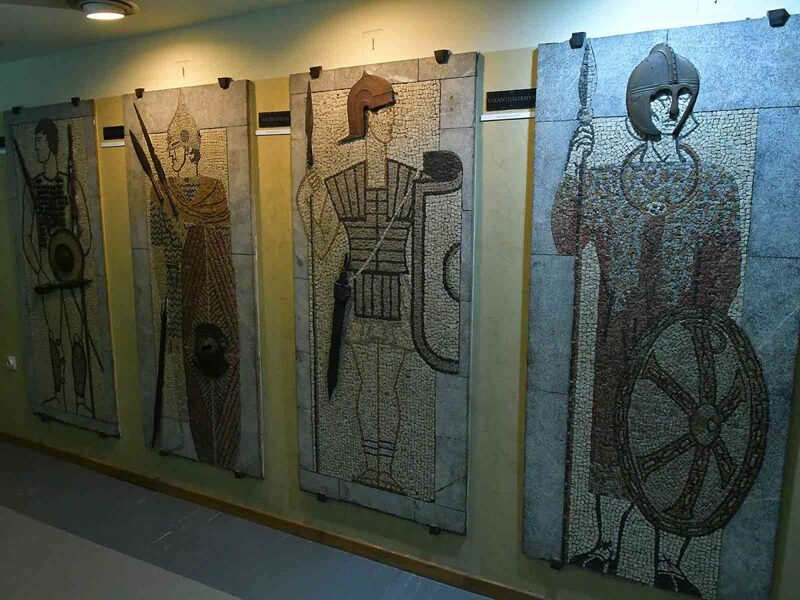 Over the years, the museum fund grew alongside the need to revere the glorious war past of the Serbian people. The first permanent exhibition was opened in 1904 by King Peter I, and although the building was destroyed in both World Wars, the museum never stopped operating. Today, Military Museum in Belgrade consists of 52 exhibition halls and 2,300 square meters open as a window to the centuries of warfare and search for freedom, so take your time and enjoy our exhibition. Many things here are not to miss. Objects that will take you back in time and tell you the stories that once happened in this place. One of them is a painting from the greatest battle in the history of the Serbian people, the Kosovo battle. The one, 25,000 Serbian soldiers were outnumbered by more than 40,000 Ottoman man. In the beginning, the Serbian army was winning. They used the confusion after the death of Sultan Murat, who was killed by Miloš Obilić, to their advantage, but the Bayezid killed Jakub. His brother and the Sultans successor regrouped the Ottoman forces and initiated a successful counter-attack. Prince Lazar and many Serbian noblemen were killed in this battle which changed the history of Europe and the whole Serbian nation. The time after the Battle of Kosovo marks the rise of the Serbian Despotate in the realm of the Manasija monastery, which represented Serbian spiritual, cultural and human aspirations. So many stories in just one painting. It would be a shame to miss them, right? To walk out from the museum not knowing the amazing facts from this place. That is why starting from February 19th, you will be able to use specially made media guide to discover the most interesting facts about items that are kept here. Stories that will give you the insight into the life of the people at those times and will uncover you many of the unknown facts from the rich history of the Serbian nation. One more thing before we leave. Make sure you take a look at a famous Enigma machine, for enciphering, that was part of the Land Forces Nazi German equipment. The exhibited Enigma machine is one of the best-preserved Enigma machines in the whole region! Beat that Museum in Berlin. We hope you enjoyed this journey that encompassed more than 20 centuries of human progress in warfare and Serbia’s fight for freedom and for a place in this world. 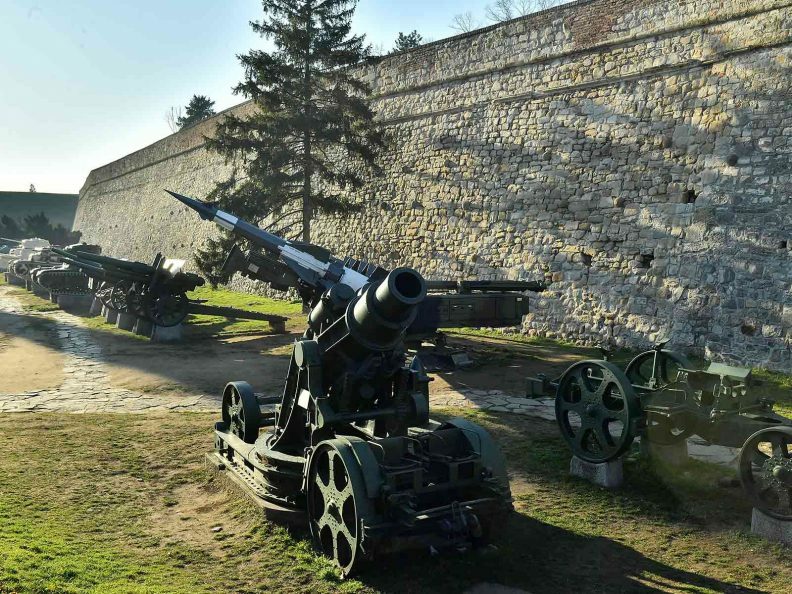 Next time you are in Belgrade, take a walk to Military Museum, where you will see more exhibits that surround our building in the beautiful Kalemegdan fortress and park.